I know that a good chunk of my readers are not craft-aholics like myself who, if given the chance, will spend hours and hours in joyful harmony with their sewing machine. Many of you are homeschooling parents and Montessori teachers whose passion is children and teaching. And, while some of you probably have no desire to become one with a sewing machine, I know that MANY of you would love to be able sew, to be able to provide your children with handmade didactic materials and other items made from the heart. I've gotten countless emails from people saying "If only I could sew... ."
Here's the solution. 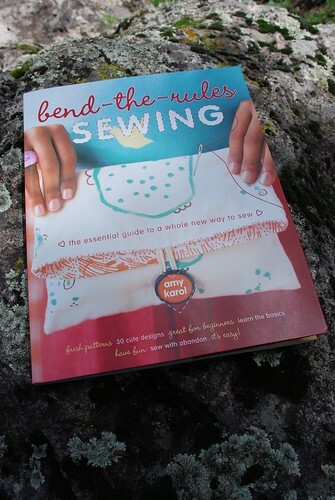 Pick up a copy of Bend the Rules Sewing by fellow blogger Amy Karol. Never sewn a seam before? Don't own a machine? No worries. 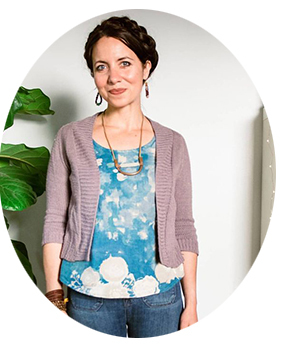 Amy will walk complete beginners through the initial steps of your sewing journey. 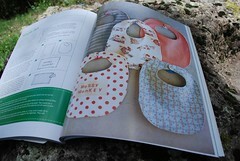 Before you know it, you will be able to sew in zippers, make bags, whip up a puppet theater, and pop out a few bibs. You will have all the necessary tools in your stash to tackle all the tutorials offered here at Montessori By Hand! Here are a few items that I made from the book. I'm loving this cat tuffet, and so is my Amelie. My other "big-boned" (a.k.a. fat) cat, Timoun, might not fit. We'll see if I can find another galvanized metal tub in the next size up. And don't you dig this cat fabric? Found it at Ben Franklin's in California. 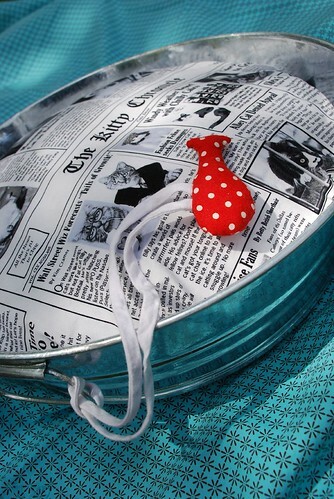 This placemat and napkin set was just the thing I needed to liven up my kitchen. I'm in the middle of a homemade kitchen makeover. 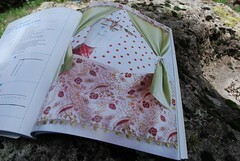 Next on the list - a set of embellished tea towels and another cute apron. 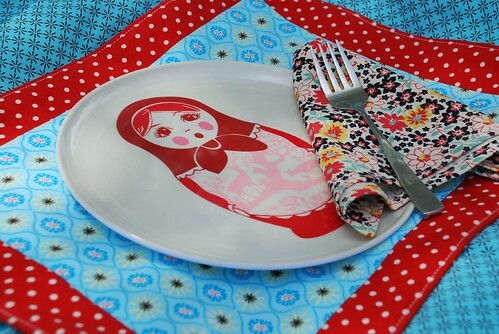 I found the set of Russian nesting doll melamine plates at Loft Party. 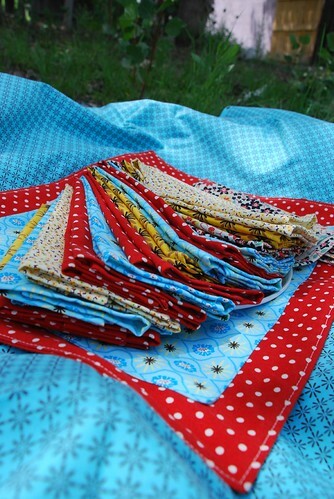 Check out the Bend the Rules Sewing Flickr group for more pics and inspiration.